Behind the mower and mow. I played Bob Dylan covering Gordon Lightfoot's "Early Mornin' Rain." ("You can't hop a jet plane / like you can a freight train."). And Caetano Veloso's "Chuvas de verão" ("Summer Rains"). 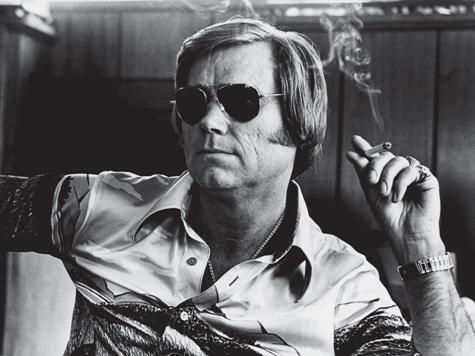 George Jones died last week, so I paid him a little tribute. He's nickname was Possum; don't know why. The anecdote that I always remember is him driving his riding mower to the liquor store because his car keys had been taken away from him. I don't know if this is true or apocryphal. 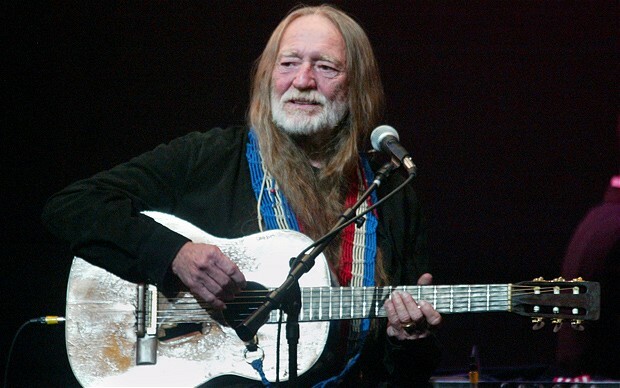 On Tuesday Willie Nelson celebrates his 80th birthday. There have been some cool tributes to him on the interwebs. I liked Neil Young singing Happy Birthday to him from the balcony of some cheap hotel early in the morning. I ran across a video of Michael Bublé (I like to call him Michael Bubble) singing in a subway station in New York the other day. Pretty cool. Performing and busking in the subway is a New York tradition. Some of those guys are great ... others are horrible. But, unless the trains are pulling in or out, the acoustics are very interesting. So I played Michael Bublé doing "Who's Lovin' You." I think it was originally done by the Miracles, although it was also done by the Temptations and the Jackson 5. Two vastly different versions of "Cucurrucú paloma." First, Lola Beltrán, the great ranchera singer; then, Caetano Veloso's softer version. Catamount Community Radio, Sunday mornings, 10-12 (ET) WWCU-FM.